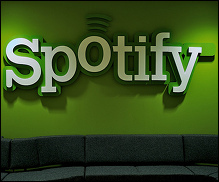 NEW YORK (Hypebot) – In a recent interview, Daniel Ek, the founder and CEO of Spotify, addressed critics of their artist payouts. “They’re saying, oh, they’re just paying a fraction of a cent every time someone plays a song,” says Ek to Quartz, a digital news outlet. “And then you compare it versus the download revenue. Well, I can tell you it will take you 200 song listens before you make the same amount of money [as a download]." I made a playlist for putting my two year old son to sleep, but he isn’t interested in the whole thing. There are three and only three songs he wants. Over and over again, on repeat, 60 minutes a night, every night, month after month. My six month old’s taste is even less adventurous — the only thing he hears is the same white noise for babies track, looped all night long. If you’re the artist who made those tracks, you are pleasing an audience which is inclined to big big play counts, and if you’re an artist who appeals to people who need more variety, you’ll have lower play counts. Two artists with the exact same number of regular fans can have very different play counts. Two year olds are a great demographic, it turns out. Also kids of all kinds, up through the tweens. Also adults who don’t know a lot of music and tend to re-listen to the same things. Low information voters, also known as LIVs or “misinformation voters”, are people who may vote, but who are generally poorly informed about politics. Not only do artists who appeal to low information listeners get big play counts in absolute terms, they get big ratios. You only have so much listening time in the day, and you can only listen to one song at a time. Every song played crowds out another. I share my Rdio account with my sons, and my taste is broad. But the artists I listen to, even the ones I love the most, only get a tiny share of my monthly $10. At most I play a track ten times in a month. Well, except that my older son just started obsessing on a song that I had on for myself. Here’s hoping we can move on from the car song.